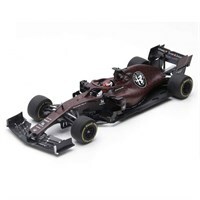 Formula One still accounts for a fairly significant proportion of sales in the diecast market, although these days the percentage it accounts for is probably not as high as it used to be. 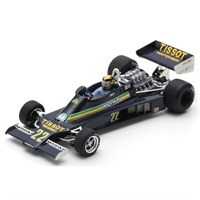 There was a time when Minichamps totally dominated the market for current season F1 models, and some years ago the demand was such that a model was produced in both 1:43 and 1:18 for just about every driver who raced during any given year. That is no longer the case, and today Minichamps has to share the market with Spark, Burago and a number of low volume specialist producers. It depends on the subject, but the demand for F1 cars from the classic era (1950-2000) can be even greater than it is for modern F1 cars. Burago 1:43 diecast model of the #16 Ferrari SF90 as driven by Charles Leclerc in the 2019 Formula One season. Please note Mission Winnow logos will not be included. 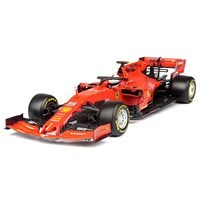 Burago 1:43 diecast model of the #5 Ferrari SF90 as driven by Sebastian Vettel in the 2019 Formula One season. Please note Mission Winnow logos will not be included. Burago 1:18 diecast model of the #16 Ferrari SF90 as driven by Charles Leclerc in the 2019 Formula One season. Please note Mission Winnow logos will not be included. 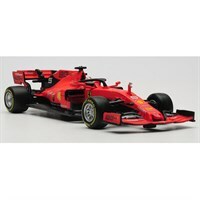 Burago 1:18 diecast model of the #5 Ferrari SF90 as driven by Sebastian Vettel in the 2019 Formula One season. Please note Mission Winnow logos will not be included. 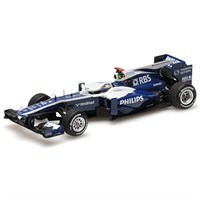 Minichamps 1:43 resin model of the #9 Williams FW32 as driven by Rubens Barrichello in the 2010 Brazilian Grand Prix. 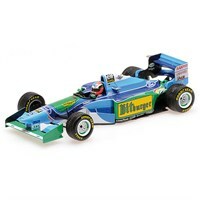 Minichamps 1:43 resin model of the #6 Benetton B194 as driven by Jos Verstappen in the 1994 British Grand Prix. 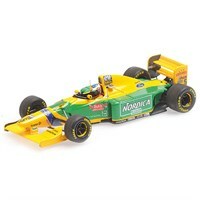 Minichamps 1:43 resin model of the #6 Benetton B194 as driven by Johnny Herbert in the 1994 Japanese Grand Prix. 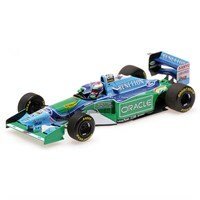 Minichamps 1:43 resin model of the #5 Benetton B193B as driven to victory by Michael Schumacher in the 1993 Portuguese Grand Prix. 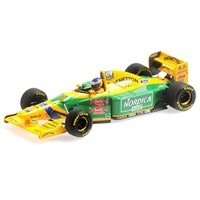 Minichamps 1:43 resin model of the Benetton B193B as driven by Michele Alboreto in the 1993 Barcelona Test. Minichamps 1:43 resin model of the #6 Benetton B193B as driven by Riccardo Patrese in the 1993 British Grand Prix. 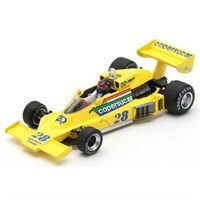 Spark 1:43 resin model of the #28 Copersucar FD04 as driven by Emerson Fittipaldi in the 1977 Brazilian Grand Prix. 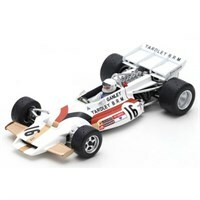 Spark 1:43 resin model of the #16 BRM P160 as driven by Howden Ganley in the 1971 American Grand Prix. Spark 1:43 resin model of the #22 Ensign N177 as driven by Dere Daly in the 1978 British Grand Prix. 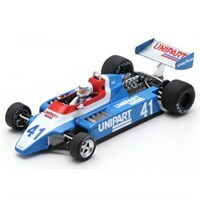 Spark 1:43 resin model of the #41 Ensign N180 as driven by Geoff Lees in the 1980 Dutch Grand Prix. 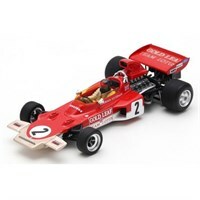 Spark 1:43 resin model of the #2 Lotus 72D as driven by Emerson Fittipaldi in the 1971 Austrian Grand Prix. Spark 1:43 resin model of the #55 Lotus 79 as driven by Jean-Pierre Jarier in the 1978 Canadian Grand Prix. 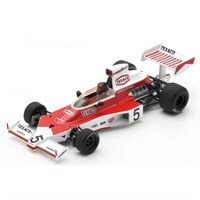 Spark 1:43 resin model of the #5 McLaren M23 as driven by Emerson Fittipaldi in the 1974 Monaco Grand Prix. 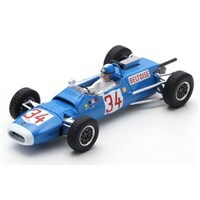 Spark 1:43 resin model of the #34 Matra MS5 as driven by Jean-Pierre Beltoise in the 1966 German Grand Prix. 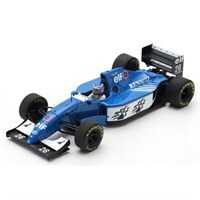 Spark 1:43 resin model of the #25 Ligier JS39B as driven by Eric Bernard in the 1994 French Grand Prix. 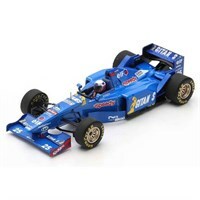 Spark 1:43 resin model of the #26 Ligier JS39B as driven by Olivier Panis in the 1994 German Grand Prix. Spark 1:43 resin model of the #25 Ligier JS41 as driven by Martin Brundle in the 1995 Belgian Grand Prix. 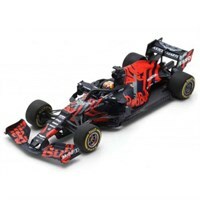 Spark 1:18 resin model of the #33 Red Bull RB15 as driven by Max Verstappen in the 2019 Silverstone Shakedown. Spark 1:18 resin model of the #7 Alfa Romeo C38 as driven by Kimi Raikkonen in the 2019 Fiorano Test. 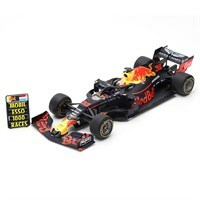 Spark 1:18 resin model of the #33 Red Bull RB15 as driven by Max Verstappen in the 2019 Formula One season.